3 Bedroom Semi Detached House For Sale in Sheffield for Guide Price £100,000. Offering no chain is this three bedroomed semi-detached property occupying a corner plot with gardens to three sides. The house has a driveway with laid to lawn areas and a patio to the rear. 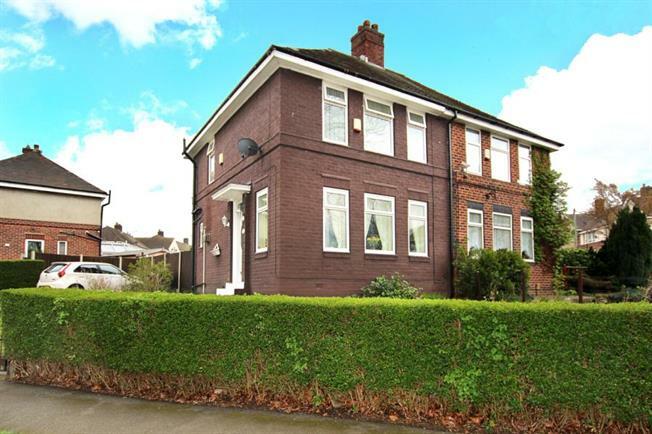 Having been maintained by the owner and offering gas central heating and double glazing. Accommodation comprises, entrance lobby, lounge, dining kitchen, utility area, downstairs w.c, three bedrooms and bathroom. Located close to local schools and shops and within walking distance to bus services. Off possible interest to a first time buyer or young couple, viewing strictly by the agent.